What could be more moving than a carol of Mary with the Christ Child in her womb sung outside of an abortion mill where the innocents are murdered daily? The words pierce; the tunes seem unusually haunting, your soul cries out for the lives in danger just inside the killing center. Just as the sights and sounds [Sharing Gifts] of the Ghosts of Christmas Past and Christmas Yet-to-Come horrified Scrooge out of his selfish lifestyle, you have the opportunity to prevent the death of a child and free a woman from the chains of a much-regretted abortion. Scrooge needed intervention– something to awaken him to the reality of the consequences of his present decisions. How much more do abortion-minded women need a jolt of love to bring them to their senses and prevent a lifetime of grief? What better time to share the love of Christ than when we celebrate His birth! 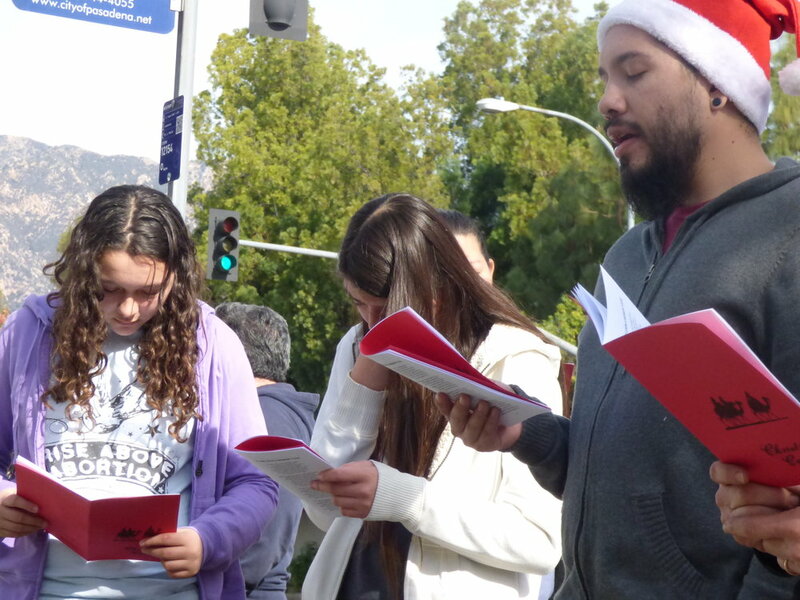 The Survivors of the Abortion Holocaust, a pro-life youth organization, is now in its 14th year of using the Christmas Caroling Project to save babies lives through the simple acts of singing and delivering gifts. We want to help you bring this powerful outreach to your own community! 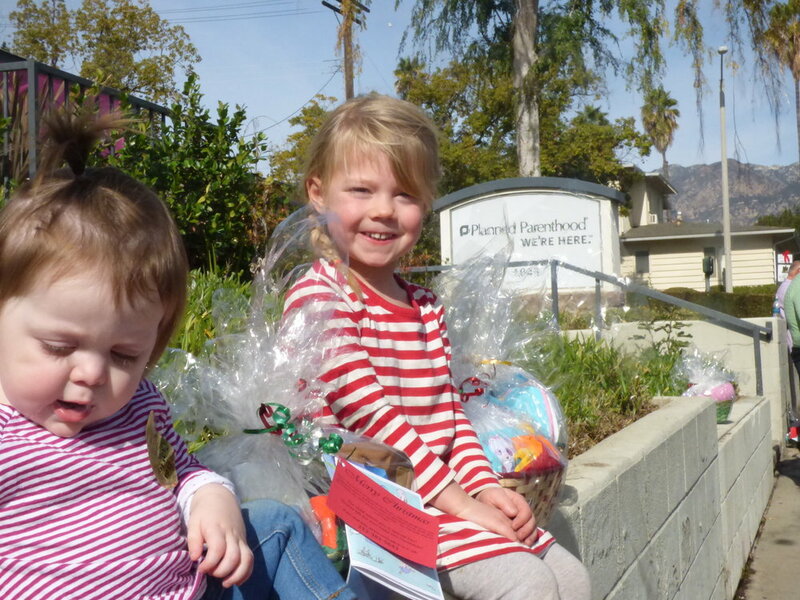 Every Christmas, people just like you – high school students, college students, and families – bring gift baskets to abortion clinics for expectant mothers who are deciding whether to keep the child within them. The baskets are filled with baby blankets, bibs, rattles and booties; but more importantly, the baskets are filled with hope. Every basket contains a tract offering the love of Christ and information about the precious life growing inside each woman, offering hope in a desperate time. But that isn’t all; the Survivors also bring gifts to the abortion clinic workers – sincere gifts of love for their hearts and souls. There is Christmas candy and a booklet sharing our faith in Christ, the very Baby about whom we are singing. What is easier than singing carols outside an abortion facility? God says whatever you do for the least of them you do for Him – what will you do? Will you join us as we sing Silent Night and reach out to the least of these? You don’t want to pass up this opportunity to participate in this life saving activity. Either Join Survivors at one of our planned outreaches -OR- start planning a Christmas Caroling event at an abortion clinic in your own community. Together we can bring faith and hope to these abortion clinics this Christmas season, we can save the lives of babies in the womb and lead mothers to Christ, and we can share with the clinic workers a new way of life with Christ.